Find resources to prepare for the NPLEX and the MPJE, with practice tests, courses and more. The NAPLEX and MPJE are administered by the National Association of Boards of Pharmacy (NABP). (847) 391-4406	 The North American Pharmacist Licensure Examination is taken by individuals training to become pharmacists in North America. (847) 391-4406	 The Multi-state Pharmacy Jurisprudence Examination is taken by individuals who want to work in the legal department of pharmaceuticals. Description: NAPLEX books and cds at pharmacy exam. 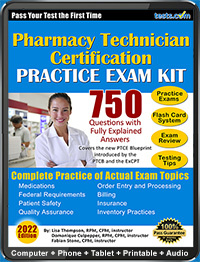 Pharmacists must pass a series of exams and become licensed in order to practice. The NAPLEX and, in some cases the MPJE, are the national licensing exams required of pharmacists to be licensed in their home state. Read all about these exams with our NAPLEX and MPJE Test Guide.